CRESBLD currently has four core businesses - Construction, Concession arrangement, Property Development and Investment Holding. Moving forward, the Construction arm will continue to be major revenue contributor (unbilled orderbook RM1.1b) and concession & parking management provide stable and recurring income. FY2018 and FY2017 were record years for Cresbld as its revenue and profit improve substantially (FY18 595m vs FY17 499m revenue, FY18 70m vs FY17 28m profit) The FY2018 EPS improve by an impressive 46% YoY to 23.5 sen (excluding the one-off RM25m land disposal gain). However, Cresbld lost a court case which their client was awarded with LAD and defects rectification of an amount of 31m. The financial net effect of this court case is Cresbld lost about 25m which dragged the construction segment profit (PBT) in 3Q18 significant lower at 0.2m. All in all, the gain of land disposal has been contra off by the lost in the court case and the real operation profit in FY2018 is actually stood at 70m or EPS of 39.8 sen). 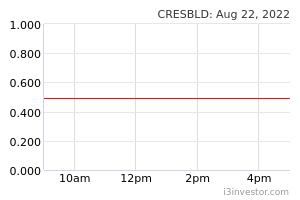 Cresbld has generated an impressive net operating cash flow of RM161.4m (95 sen per share) in FY2018 (vs 65m in FY2017), more than 100% improvement YoY and most of the cash flow used to pare down the debt. (low capex requirement in 2017 and 2018). A closer look at the latest segmental result revealed that concession and investment holding command a stable revenue and profit. This is because recurring annual income of 43.5m from UiTM Tapah concession (up to year 2034) and parking and rental income of its properties in Shah Alam, Subang. FYI, parking segment is estimated to be able to achieve a net profit margin of 60-70%. Cresbld has proposed to distribute dividend of 4.50 sen for FY2018 which translate to dividend yield of 4.3% (to be paid around June 2019 after AGM). Cresbld has consistently pay dividend from 3-5 sen over the past 10 years (total paid dividend of 40.5 sen over past 10 years). Cresbld current in highly geared position (mainly due to funding for UiTM concession of about 290m). Anyway, net gearing of over 1.0x in 2017 and this ratio has improved significantly in the recent two quarters at 0.89x (net debts of Dec 2018 = 434.4m vs 537m of FY2017, net debt reduced RM103m) mainly due to strong cash flow from operation. One of the metrics to evaluate the earning capability of a company is by looking at its gross profit margin and general & admin expenses. The table below shows the gross profit and admin expenses of Cresbld in the past 3 years. The revenue, gross profit and net profit improve substantially in FY2018 as compared to FY2017. Finance cost will continue to reduce as debt has reduced by 103m in past 12 months. Despite Cresbld's relatively small paid-up capital of RM176.9m, it has managed to bag three major privatized development projects with a combined GDV estimated at RM4.1 billion (like Latitud8, The Elevat8, Jalan Ampang, Residensi Hijauan, Kelana Jaya, LRT). In Property Development, Cresbld's two major on-going projects are Residensi Hijauan (GDV: RM330m) in Shah Alam and Latitud8 located on top of the Dang Wangi LRT Station (GDV RM1.1B). This Transit-oriented Development (TOD) project is based on a capital light business model whereby the land would be provided by the owners. (Prasarana is entitled to 21.2% or RM233.3m of Latitud8's GDV, 90% of the payment to Prasarana will be in kind in the form of units of the project. Similarly for 1.3B Elevat8 project in Jalan Ampang where the land is contributed by MRB). Investment Holding arm of Cresbld generated recurring income and profit for past 2 years. The division has three key assets - The Crest, 3 Two Square in PJ (16-storey office blocks, shops & parking bays/150,522 sqft); Tierra Crest in Kelana Jaya (2 blocks of office building & parking bays/280,549 sqft) and Avenue Crest in Shah Alam (retail lots & car parks/29,210 sqft). Total available parking lots in 3 Two Square is 1370 lots, 525 lots in Tiera Crest another new 713 lots in Avenue Crest (to contribute income in 2Q19 for Avenue Crest). A few projects (like South Brooks, DBKL carpark, latitud8 etc) are at the middle of the project cycle which should contribute higher profit. According to management, Crest is looking for a yearly replenishment 500-600m of contract on its orderbook which will be the future profit growth driver. Recurring income or profit from UiTM concession is estimated about 10m-12m per year, while parking management is estimated can generate 3m-4m profit per year. They also have rental income (12-13mil per year) for their offices spaces in their properties (3 Two Square and Tiera Crest). All these recurring annual incomes are estimated to contribute about (11+3.5+12.5) an amount of 27m profit (EPS of 16 sen, just from recurring income alone). Strong and Stable Margin - Average net Profit margin of above 10%, one of the most efficient construction+concession+property players among all. Strong construction orderbook of 1.1 billion and 4.1 billion GDV of property development projects – provide good profit visibility for the next 3-4 years (refer to appendix). The 20% discount in the EPS is due to possible property segment revenue and profit slowdown in FY2019 (as profit is record high in 2018) although the GDV under development still at high level of 4.3 billion. 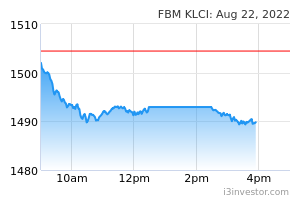 Company has aggressively buys back the share from RM0.88 – RM1 up to 10 mil shares (5.6% of total shares) which shows that company management views current price is undervalue. Increment of dividend payout to 4.5 sen (from 4 sen) and aggressive share buy share recently show that management is confident of their future cash flow generation (as they burned 10mil+ cash to buy back shares & 7.5mil for 4.5 sen dividend). Great Eastern (holding 6.5mil), Public small cap and Public Ittikal funds are their top 30 shareholders (refer to Annual Report 2017, 2016, 2015). Obviously Cresbld shows the highest revenue, ROE, orderbook to market cap ratio and second highest dividend yield net profit margin. The advantages of Cresbld over other construction companies is it has long term recurring income from UiTM concession, office and car park management (Under investment holdings segment). One of the closest competitors is Gadang but Gadang has shown decreasing profit in recent 4 quarters result while Cresbld has shown impressive profit growth for 9 consecutive quarters. HandOfMidas wow, tmr limit up! cheoky ok. ini article bagus. kura kura akan naik hot wheel dan overtake arnab. Huat5828 Cresbld is a solid company with many projects line up. The writer has put it clearly points by points. A big thank you to him! allan88 Detail analysis. Good job! Choivo Capital Half the profit is from land disposal. The margin is not that leng. sense maker Dividend is mediocre.